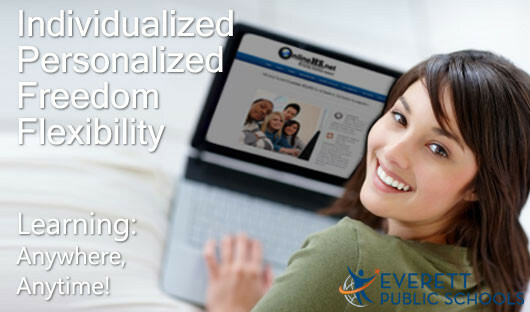 OnlineHS Everett Public Schools, Everett, WA | Learning Anywhere, Anytime! For over a decade, OnlineHS is one of Washington State's oldest and most successful virtual learning programs. Take an online course as part of your 6-period school day or in-addition to your schedule. OnlineHS serves nearly 1,500 students a year across the district in grades 8 - 12. Many graduates find OnlineHS to be a valuable part of their academic success! 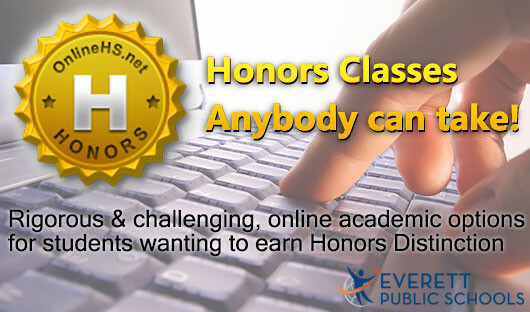 Earn the Honors Distinction on your transcript with Honors courses available 24 hours a day, 7 days a week! ANYWHERE, ANYTIME! OnlinHS courses are available 24 hours a day & 7 days a week from most any Internet-connected device. Students can engage with their material, other classmates, and instructor before, during and after the typical school day. EXTENSIVE SUPPORT SYSTEM. Students enjoy the individualized & personalized attention they receive with access to teachers via email, IM, text and phone. Staff are also on-site at each high school every week and students can always drop-in the OnlineHS computer lab for one-on-one assistance! For over a decade, OnlineHS is one of Washington State’s oldest and most successful virtual learning programs. Nearly 1500 students take OnlineHS classes each year. 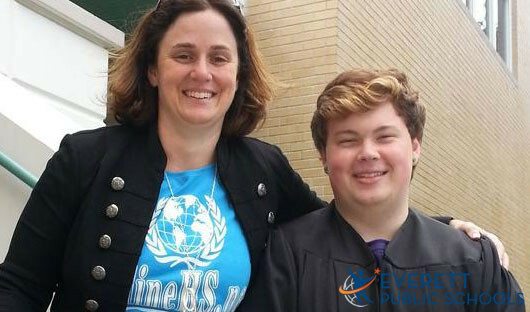 As online learning continues to be the fastest growing form of education in the world, Everett Public School students find themselves better prepared for college and the 21st Century.